As you know, it’s spring which means that summer is right around the corner, and that means that it’s time for margaritas and tequila sunrises on the deck and by the pool! I know that some of the people out there are going to say “But I don’t like tequila,” or “I don’t know what kind to buy”.” That’s understandable – there are so many types of tequila, it’s hard to know where to start. Let’s start off with what it takes to be considered true tequila. The rules for making tequila are very similar to the rules for making bourbon. They both have strong ties to a specific region, and they both must be composed of a specific amount of a single fruit or grain. If these standards are not met you wind up with a completely different product with a different name and style. In the case of tequila, it’s made from 100% pure agave. But it cannot be just any agave. It has to be Weber blue agave from the territory of Tequila, Mexico. If it is not all of these things then the spirit that is being made is not considered to be tequila. 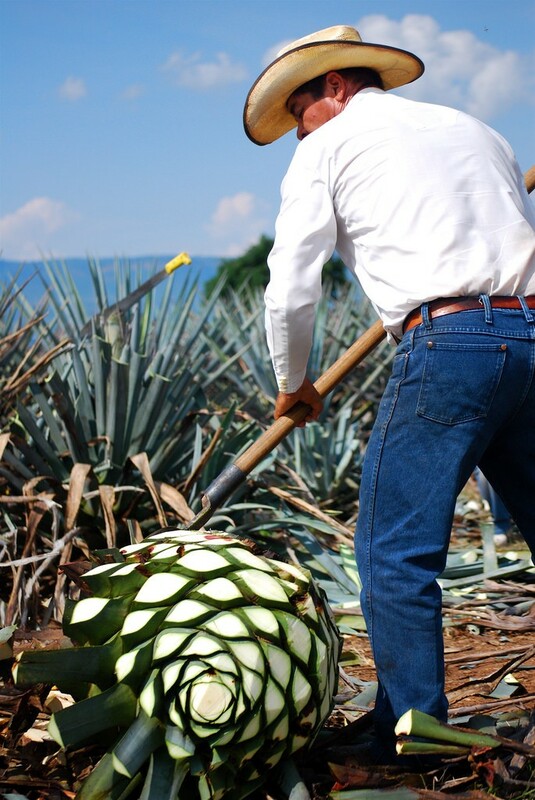 Jimadors are the Mexican farmers who harvest agave to turn into tequila. There are a few different types of tequila, and for the purposes of this post, I’ll be using the Siembra tequila brand, especially their Azul and Valles lines as my example. Its tequilas are unique in that they are an estate brand, meaning that it was sourced from one location owned by the people producing the spirit. The spirit must also be processed and created on said land. The first and most well know tequila type is Blanco. It is crystal clear in appearance and is the tequila most used for cocktails or mixed drinks. It is one of the most common forms of tequila due to having the least amount of aging done to it, as well as being one of the most popular for shots at bars and parties. As mentioned a second ago, the aging is minimal, if it’s even done at all. If it is aged at all it is less than two months otherwise, it’ll be into one of the other forms of tequila. The Blanco made by Siembra Azul is one of the smoothest that I’ve ever had. It’s crisp on the tongue with a note of citrus and pepper. The typical Blanco is a lot like a teenager; brash, full of themselves, with a bit of a fiery disposition. With higher end tequilas, the fire is comfortably mellowed, and the brashness turns to more flavor notes rather than a kick to the teeth. Siembra even makes another form of Blanco called Siembra Valles which is of an even higher quality and brings even more tasty flavors to the table. Another common form of tequila is Reposado. This form of tequila is known for its yellowish tinge that can sometimes even be amber in color. It’s different from its Blanco companion in that it has been aged in oak barrels for a period of no less than two months but no more than twelve months. Reposado is a much more mellow tasting tequila. 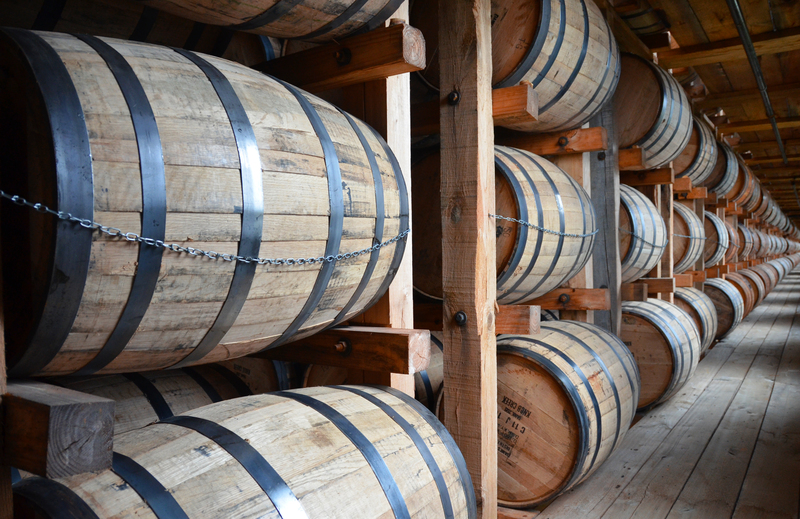 The wood aging is known as the “mellowing process” and it takes what was a young and fiery liquor and transforms it into a much more mature and flavorful spirit. It still has a slight kick of a classic Blanco, but it is easier to drink overall and very pleasant as a drink all by itself. The oak adds more flavors to the spirit than just the agave due to the absorption of the wood oils during the mellowing process. This process is much like the way oak aging affects wine. The Reposado made by Siembra Azul, for example, still has a little kick, but has many new flavors like spicy ginger and vanilla. Their Valles label also offers a Reposado and much like their Valles Blanco it is a step to the next level of quality tequila. It has a golden honey color which comes through beautifully on the palate with a bit of honey-like sweetness and mint. Reposado is still used in many of the same cocktails as the Blanco, but it will add a more mellow taste to them. It’s also very common to sip Reposado tequilas on their own. The third type of tequila is Anejo. This is a much more mellow and distinctive style of tequila than the others. It’s the longest aged form of tequila, typically spending anywhere from twelve months up to about two years. Anejo is quite dark in color due to this longer aging process. Anejo is the most complex tasting form of tequila due to the absorption of so much more of the elements from the barrels it was aged or “mellowed” in. The Siembra Anejo for instance, has taste notes of cinnamon, tobacco, butterscotch, and a bit of honeyed sweetness. This form of tequila is what I like to refer to as the “single malt” of tequila in that it is a crime to mix this spirit with anything. Drink it straight in a tumbler or in a large snifter glass. It is meant to be enjoyed all by itself with nothing else to distract the drinker from the experience. UPDATE: Look’s like the weather isn’t going to be on our side the weekend, but no worries! The event will be held indoors at War Memorial Stadium. See you there! You all know that the O’Looney’s crew loves a good party, and when we heard that the Little Rock Zoo was turning 90, we just had to get involved! This weekend is the Zoo’s annual Wild Wines event and once again we’re donating over 200 wines for the occasion! The attention to detail in the selection of wine for this event sets it apart from others. Live music areas keep you moving all night long and you’ll also get the chance to meet some animal friends along the way. Oh – and did we mention that there is food from over 50 (yes, really, 50 – five zero) restaurants? Okay, there may not be twinkies, but you know the food’s going to be amazing. Join us in the Reserve Wine Room! Join wine sommelier and certified wine expert, Jonathan Looney (Who is that? Never heard of him…), in Cafe Africa for a VIP wine and food experience! YaYa’s Euro Bistro will offer delicious food pairings with better wines for an upgraded wine and food experience. The Reserve Wine Room also features a silent auction with unique paintings by Zoo animals and a chance to win a behind-the-scenes tour at the Zoo! The Reserve Room also features the most VIP guest of them all, a visit from a Zoo penguin! Reserve Room tickets also include admission to the general event. The Reserve Room is open from 6:00 p.m. to 8:00 p.m. in Cafe Africa. Okay, so now that we’ve got your attention, here’s where it gets even better: This week you can get 15% off general admission tickets by using the code OLOONEYS15 when you purchase your tickets online. Want to come hang out with us in the Reserve Room? Sweet! Use the code OLOONEYS25 for 25% off tickets! Click here to purchase, and we’ll see you this weekend! We’ve all heard the term “oak” used to describe wine, and at some point in all of our wine-drinking lives, we’ve internally asked ourselves what that actually means. We’ve also all been at a party in which someone mentions oak in wine and everyone will nod along like they completely understand the concept. But how many of us actually know what oak means for winemaking and can recognize the taste of it wine? When we say a wine is oaky we are referring to the flavors from the barrels it was aged in. New barrels impart flavors of vanilla, clove, cinnamon, nutmeg, dill, and smoke resulting from the toasting process that allows the barrels to be shaped. As barrels are used over and over again they lose these flavors and become more neutral. The age of the tree the barrel is made from can be very important because as the tree ages, its grains become more tightly packed. The younger tree with more loosely packed grains will impart more flavor into a wine. You can think of oak in a similarly to salt – a chef will use more or less salt depending upon the flavors he desires in his dishes. The same is true with a winemaker and their desired flavors for their wine. Most people are familiar with oak through drinking chardonnay. Below, we have two examples of chardonnays, both at the opposite ends of the “oak” spectrum. The first of these is the Christian Moreau Chablis, a chardonnay that is completely unoaked and was made using stainless steel tanks. Because it was never exposed to oak, you’ll get the full, natural flavors of chardonnay: apple, lemon, and a flint-like minerality. It’s color can range from light yellow to hay. Our second wine, a chardonnay from Rombauer Vineyards, spend nine months in oak barrels and is known for its rich aroma of lemon curd, butterscotch, and vanilla. As you can, oak plays an important part our industry. Hopefully, next time you’re shopping for wine or tasting with friends, you’ll have a little more insight into what it is you’re drinking. I’m so glad that I can finally write the words that I never expected to be true: Bell’s Brewery is coming to Arkansas! For those “in the know,” the upcoming release of Bell’s Brewery is cause for much excitement. My mouth has been watering ever since I first heard the news, and I can’t wait for the first delicious sip of Bell’s “Two Hearted Ale.” For those of you that aren’t yet familiar, let’s get caught up! Larry Bell started brewing beer commercially in Kalamazoo, MI in 1985 making Bell’s the oldest craft-brewer east of Boulder, CO. What started in Larry’s basement with a 15 gallon soup pot quickly grew to 500 barrels per year by 1989 and in 1990 Bell’s began distribution outside the state of Michigan. Over the past 25 years, Bell’s has continued to grow and expand to become one of the top 10 American craft beer brands by volume, producing over 310,000 barrels in 2014. Bell’s has set itself apart with a focus on sustainability. The brewery and related facilities employ state of the art technologies in order to recycle waste heat, water, and brewing by-products. Their vision of sustainability means that each process involved with brewing the beer is thoughtfully laid out to maximize efficiency and to cut waste and emissions. 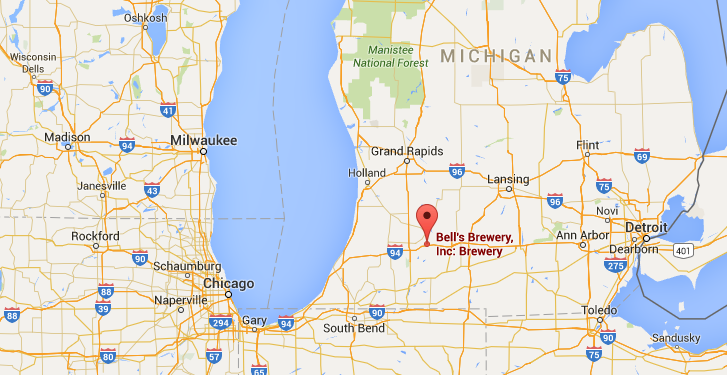 Bell’s also owns and operates an 80-acre sustainable farm in Shepard, MI where they grow barley for use in the brewery. Stylistically, Bell’s’ offerings are diverse; ranging from light and fresh wheat ales to dark and heavy imperial stouts and everything in between. My personal favorite is the Two Hearted Ale, a hoppy but well balanced American IPA. This beer is hoppy and complex with a tasty malt backbone but it still manages to finish extremely clean and refreshing. It beer drinks great year-round but I consider this a “must-have” addition to any summer cooler. So… why should you care? Well quite simply because being able to buy Bell’s in Arkansas is a big deal. 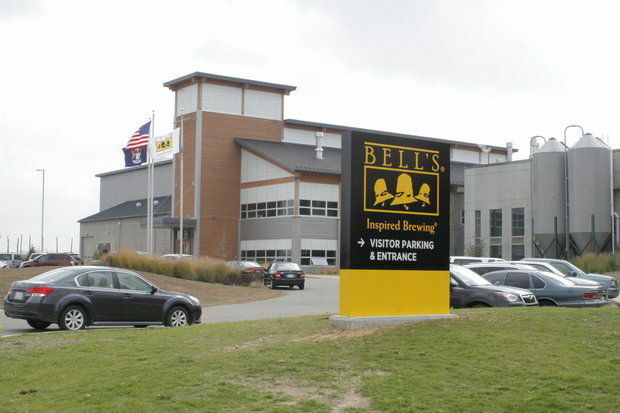 Folks on the east coast and in Michigan have been enjoying Bell’s for so long that it has become fairly common place for dedicated beer enthusiasts to travel across state lines just to procure a case of the magical elixir. Luckily, thanks to Bell’s recent expansions, we are soon to be able to purchase these fantastic beers locally. How can you get your hands on some Bell’s? Click right here to reserve your case at a special presale price! Beer will be available in store after April 25th! 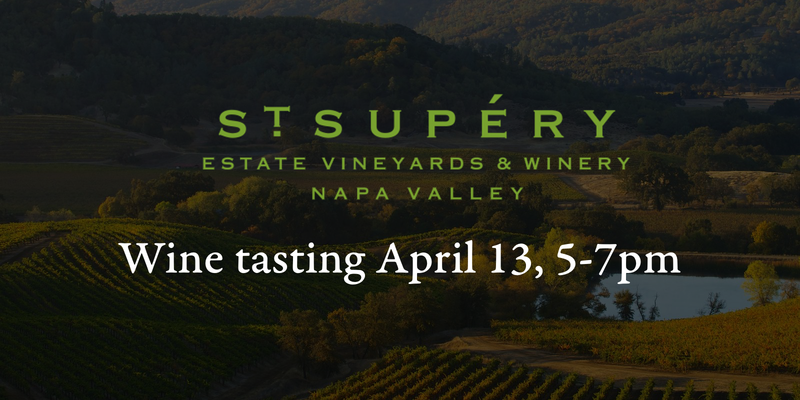 St. Supéry Estate Vineyards & Winery is the largest family owned, sustainably farmed and estate produced winery in Napa Valley. 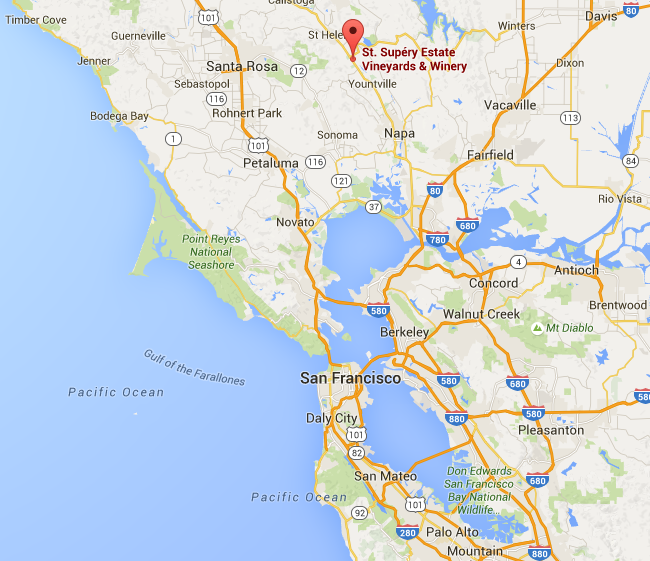 Both the land the wine is grown on and the St. Supéry winery are certified Napa Green. The winery was founded by the Skalli Family who began making wine in 1920. In the 1970’s the family patriarch, Robert Skalli spent eight years searching for the perfect location to expand his family’s business to Napa Valley. 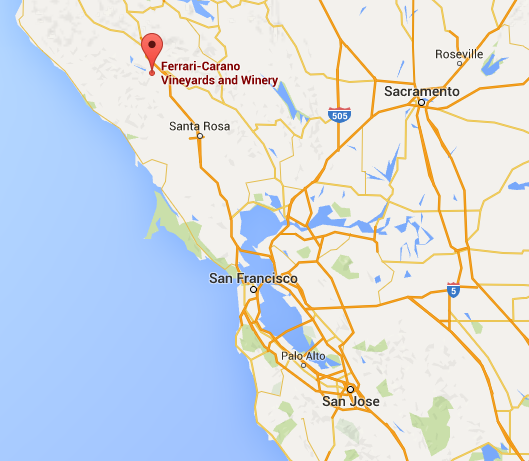 He eventually selected a relatively unknown area high in the northeastern mountains of the newly established Napa Valley appellation. 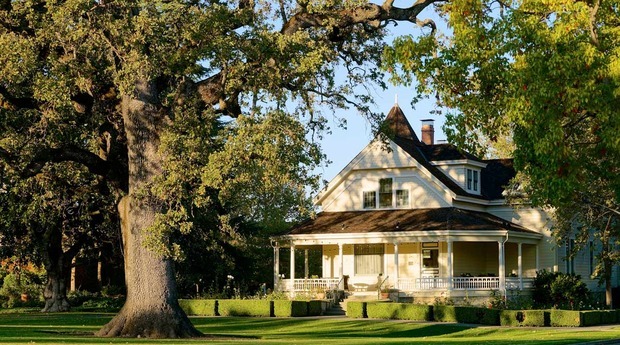 Over thirty years later, the world-class vineyard estates in Napa Valley were sold to Chanel. 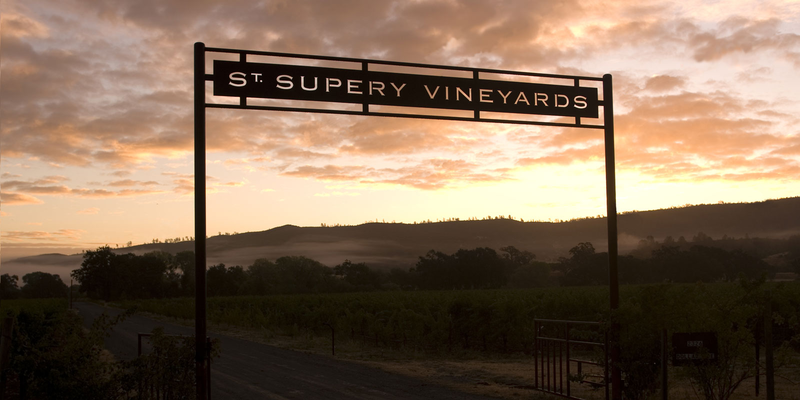 Inc.
St. Supéry is known for their long-term commitment to the vineyards and winery, and it’s owners are personally invested in acting as stewards of the land, preserving the properties for future generations. 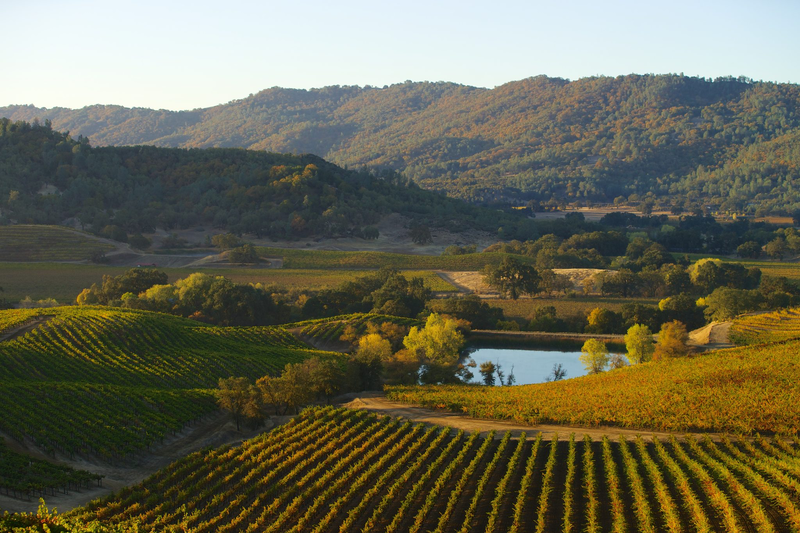 St. Supéry’s Napa Green Certifications for the winery and vineyards are evidence of this commitment. This approach and long-term investment in Estate properties also gives St. Supéry the ability to maintain consistency in grape and wine quality over time. Among St. Supéry’s most famous vineyards is the Dollarhide Ranch. In 1982, the Skalli Family acquired the land which had formerly been a cattle and horse ranch that dates back to the late 1800s. Dollarhide is a 1,531-acre property with steep and rolling hills, some flat lands, seven lakes, and plenty of wildlife. Currently, there are almost 500 acres of grapevines at Dollarhide, leaving the rest of the property to thrive in its natural state. The oldest vines at Dollarhide Ranch, now almost 30 years old, produce the full-bodied, robust cabernet sauvignon and distinctive sauvignon blanc on which St. Supéry Estate’s reputation was built. 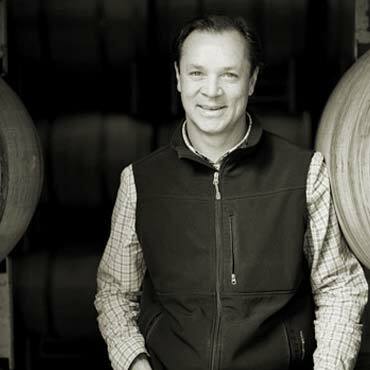 Michael Scholz, St. Supéry Estate’s winemaker (click here to read an interview with him), and his vineyard team have a broad selection of soils and topography to choose from when selecting ideal vineyard sites at Dollarhide. 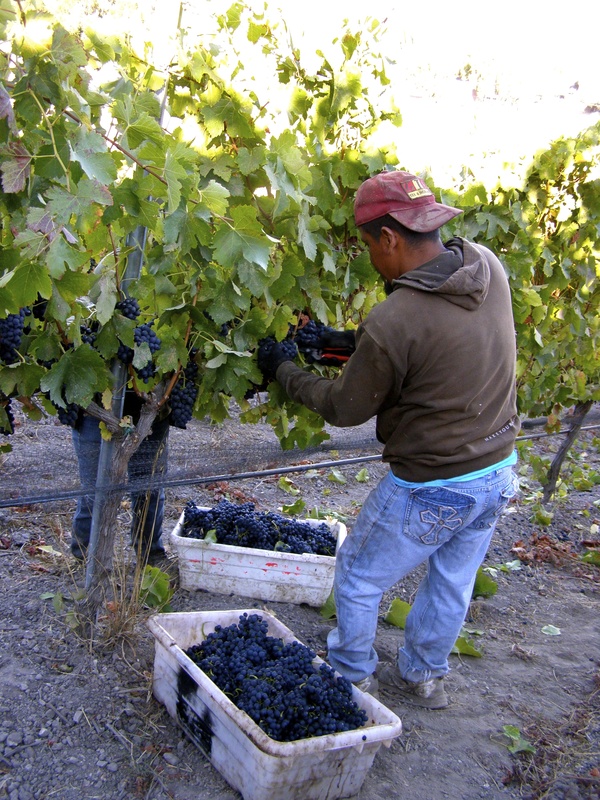 Each parcel of vines is planted with fruit quality and distinct character in mind. These parcels are then farmed individually so that the vines will thrive in their unique locations. The Estate’s vineyard team is able to match the right soils with the optimum combination of rootstock, clone selection, and cultivation practices. The diversity of terrain at Dollarhide results in a wide selection of fruit for Michael to work with when crafting St. Supéry’s estate line of wines including their sauvignon blanc and cabernet sauvignon, estate blends and the Dollarhide Estate single vineyard designate wines. 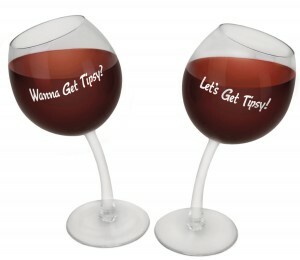 Some days call for a laugh with your wine – check out some of the funniest wine glasses we could fine. For when 6oz just isn’t enough! Refilling your glass can be so much work, but not anymore! This glass holds the entire bottle, and let’s face it, you were probably going to drink the whole thing anyway. 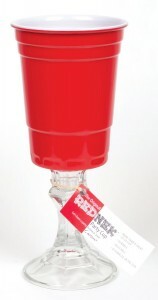 This glass from Riedel is for those who are looking for a truly blind tasting experience. 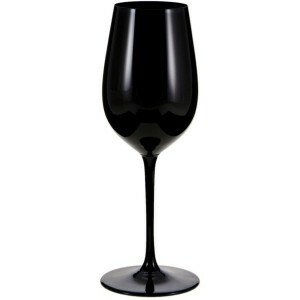 This all black glass masks the color of whatever wine it holds and forces the taster to rely only on their palate. No, you’re not already that drunk! These glasses are supposed to look this way. Each of these glasses are hand blown to get to give their stem that perfect curve. An old standard, this is always a great option for a gag gift, and, if we’re being honest, we’ve always kind of wanted to use one! As any port drinker can tell you, these are nothing like the real glasses that are made for port. 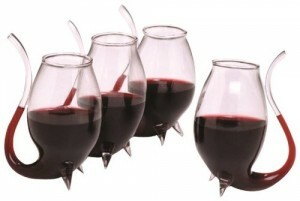 These, however, are too fun to not include in any list of wacky wine glasses. Are you on the run from the government and in need of a disguise? No one will recognize you while you sipping your wine in your new mustache. 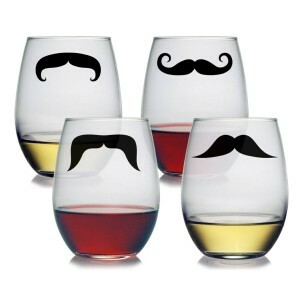 Best of all, they come in four different styles, so you’ll never run out of facial hair and wine pairings! These are perfect for when you don’t have a decanter handy. 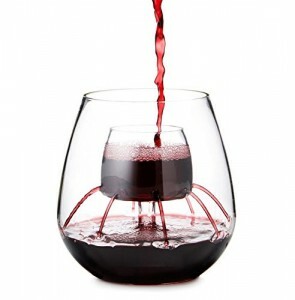 These glasses will aerate your wine as your pour! This also works perfect for whiskey – just add an ice cube in the internal chamber and pour. What are sulfites and why does the USDA insist that every bottle of wine remind me about them? We’ve all seen the words “contains sulfites” stamped on the back labels of wine bottles, but how many of us actually know what a sulfite is or does? For most people, sulfites are an invisible part of the winemaking process. Sulfites are, in simplest terms, a group of compounds that contain the ion SO2. As it turns out there’s a very small portion of people who are very allergic to those compounds. Sulfites almost exclusively affect asthmatics and even then, only about 10% of asthmatics have trouble with sulfites. That means that if you’re someone who suffers from wine headaches, sulfites are most likely not the cause. For the vast majority of people the level of sulfites found in wine is perfectly safe. So what do Sulfites do? Grapes, along with many other foods, contain sulfites naturally. Dried fruits actually contain five to ten times more Sulfites than wine. Sulfites help to prevent oxidation and spoilage. They’ve been used to help preserve wine since at least the fifteenth century. Winemakers will often add a slight dusting of SO2 to freshly picked grapes to keep them from fermenting too soon while they are being transported from the vineyard to the winery. During fermentation one of the ways a winemaker can make a wine sweeter is to add sulfur to the juice before the yeast has finished converting all the sugars from the grapes into alcohol. As a result of this, many sweet wines have an elevated level of sulfites. In general, white wines will contain more sulfites than red wine. Once the wine has finished fermenting the winemaker might add SO2 again to help preserve the wine during the aging process. In some instances, they might even be added a third time during the bottling process. Sulfites are safe for most people but are they a good thing? The answer is both yes and no. As with most things, moderation is the best policy. Without sulfites, wines would spoil within months of being made, would need to be stored below sixty degrees at all times, and would be very sensitive to vibrations. On the other hand, too much sulfur can leave a wine with the aroma of a just-struck match and may slightly irritate the nostrils. In smaller amounts, sulfites can mask the delegate aromas of a wine and obfuscate the flavor. Fortunately, many winemakers take great care to limit the amount of SO2 they use in both the vineyard and the winery. There are even some winemakers who do not use any SO2. Their wines offer the potential for the purest expression of the land and the grapes, however it is extremely hard to find good bottles in stores because the wine is so easily ruined in the shipping process. It is at this stage of the harvest, when the grapes are first picked from the vines, that a light dusting of sulfites is first added. For anyone interested in trying a wine made with less sulfur look for wines made with organically grown grapes. These wines are required by law to contain less than half the maximum amount of sulfites as non organically grown wines. A few organically grown wines to try are Ridge “Three Valleys” red blend, Chateau de Bellevue, and Bodegas Chacras “Barda”. 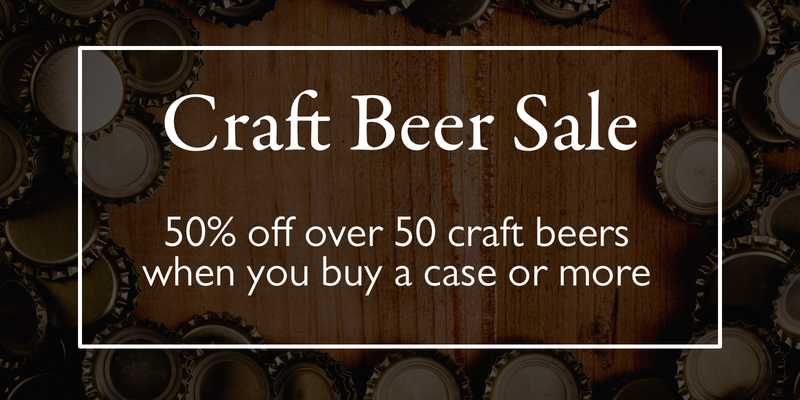 As a part of O’Looney’s current craft beer sale, we asked the director of our beer program, Spencer English, to rank his five favorite beers from the sale. The name derives from a condition of severe alcohol withdrawal which causes the affected to shake uncontrollably unless they maintain an inebriated state. I’m not certain if the brewers intended this beer to be the cause of or the cure for the problem, probably a bit of both. At 8.5% abv this Belgian strong blonde ale could certainly do the trick. Widely considered by beer connoisseurs as one of the all-around best beers in the world, Delirium Tremens has been instrumental in exposing the global beer market to the wonders of Belgian-style beer since 1988. The beer itself is a beautiful example of the style, pouring a light golden blonde with a crystalline white head. Flavors of banana, clove, and pepper are layered with apple and pear and a cake or pastry yeast character that rounds out the whole experience. 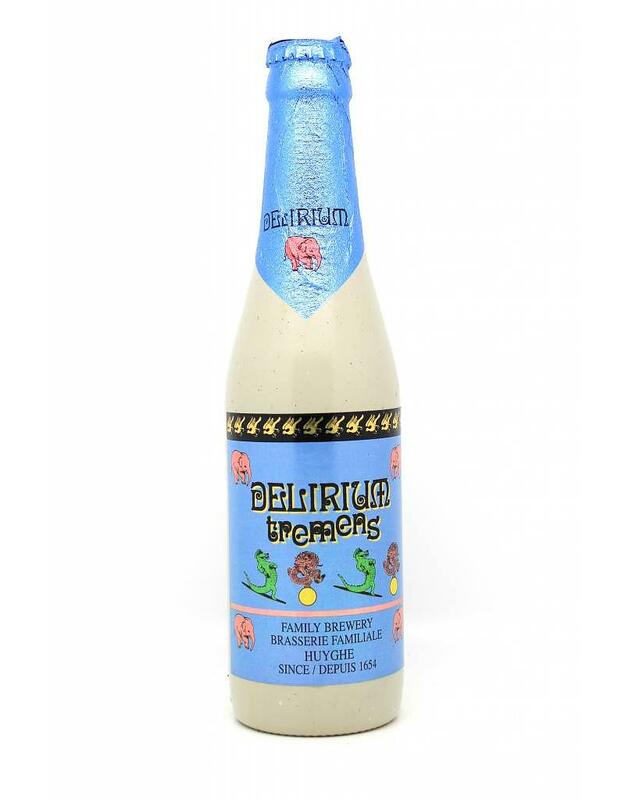 From the eccentric Brouwerij Huyghe in Melle Belgium that brought the world Delirium Tremens, comes a new offering that is this brewery’s unique take on the Belgian fruit beer style. 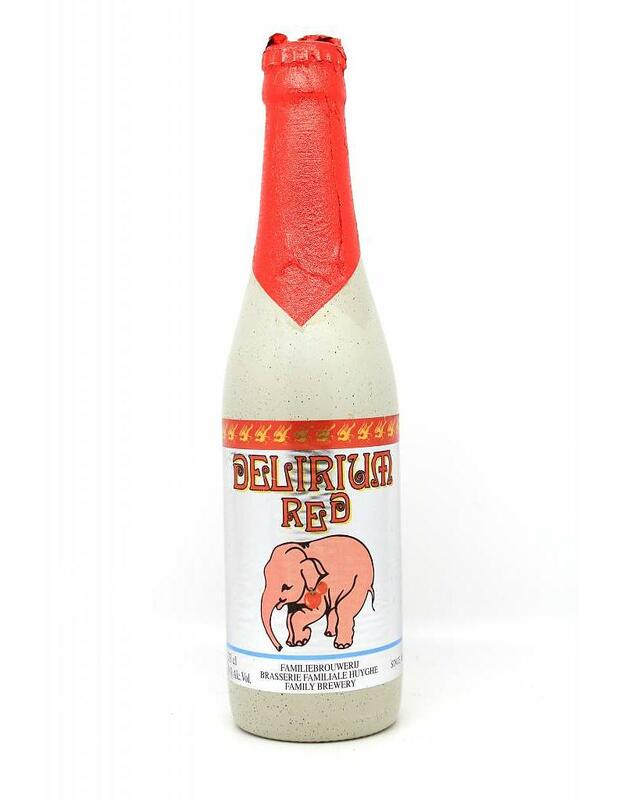 Delirium Red is a well made Belgian blonde ale brewed with cherries. The flavor falls somewhere between sweet and tart with notes of sour cherries, almond, banana, and cake. If you are a fan of Belgian ales or lambics/fruit beers, this offering might be a happy medium for you! 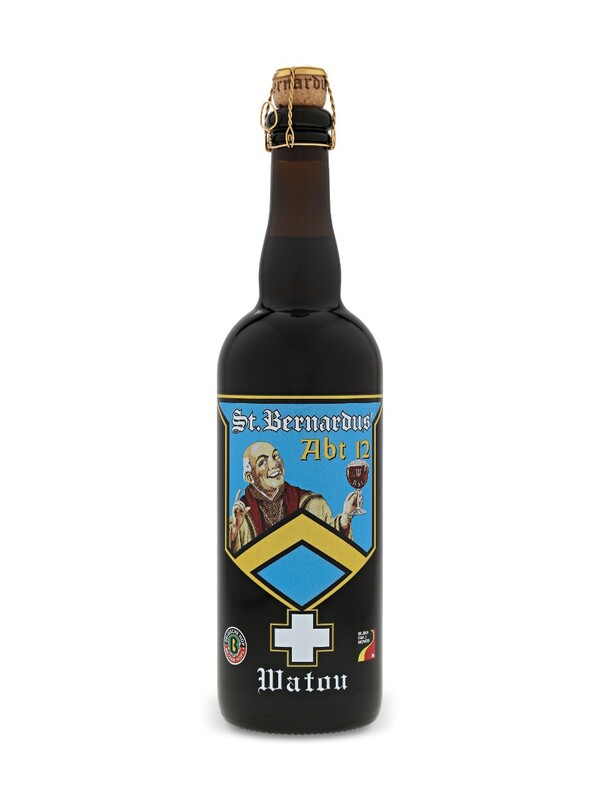 St. Bernardus Abt 12 has a long pedigree leading back to the early 1900’s and probably even before that. Originally brewed by Trappist monks at The St. Sixtus monastery in Westvleteren Belgium, the recipe and the unique Sixtus yeast strain was brought to Watou after WWII when the monks were looking to turn over commercial production of their beer to another facility. This beer is a Belgian abby-style quadruple ale which means you can expect a stronger darker beer with all the fruity, spicy characteristics of Belgian yeast. The beer pours a dark caramel brown with a creamy white head, notes of prunes, grapes, and an herbal hop character blend beautifully with the traditional banana and spice from the yeast. A classic abby ale for the Belgian beer lover! 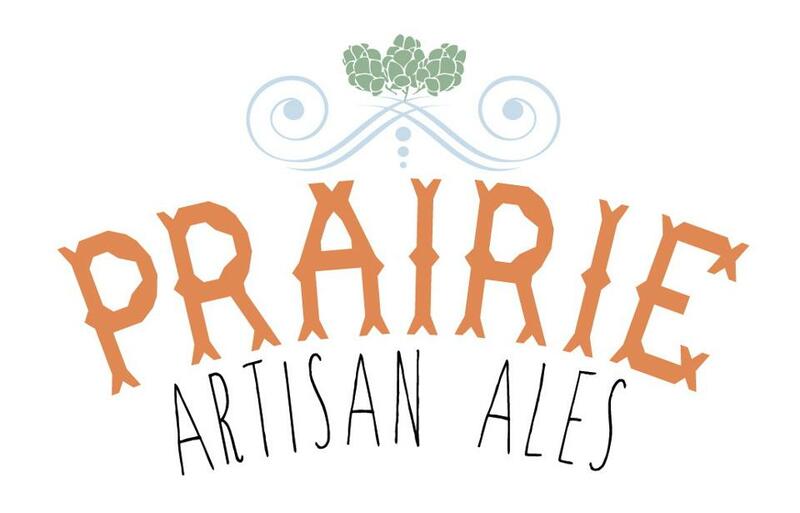 Prairie Artisan Ales from Tulsa, Ok. is pushing the envelope of American craft brewing. Their line of beers runs the gamut from dark imperial stouts aged in whiskey barrels to lights farmhouse ales and sours. The Prairie Ale is their take on a classic Saison style of farmhouse ale. Traditionally Saisons are brewed in open fermenters allowing them to take on the wild yeast in the air as the wind picks it up from the fields and deposits it in the brewery. These wild yeasts or Brettanomyces (brett for short) give seaisons their characteristic “funk.” In the case of the Prairie Ale the Brettanomyces are cultivated and added to the beer in a controlled environment but the resulting beer is very close to its traditionally made cousins. The beer pours clear coppery-orange with a foamy white head and fat lacing. Aromas include orange peel, lemon zest, pepper, and hay. The flavor will be slightly sour with citrus and vegetal overtones. The long name of this beer tries somewhat successfully to describe this unique beer from Evil Twin Brewing. Using only mosaic hops to flavor wheat lager gives a bit of tropical and juicy citrus fruit to this grain forward lager. Pours golden yellow with a thick white head. Aromas of wheat grains as well as citrus and herbal notes. First and foremost, the tastes will be of sweet grains and wheat with some brights tropical and citrus character from the hops. Ideal for the beer drinker who wants complexity but finds many IPAs too hop dominant and lacking all else, this beer is all about balance. 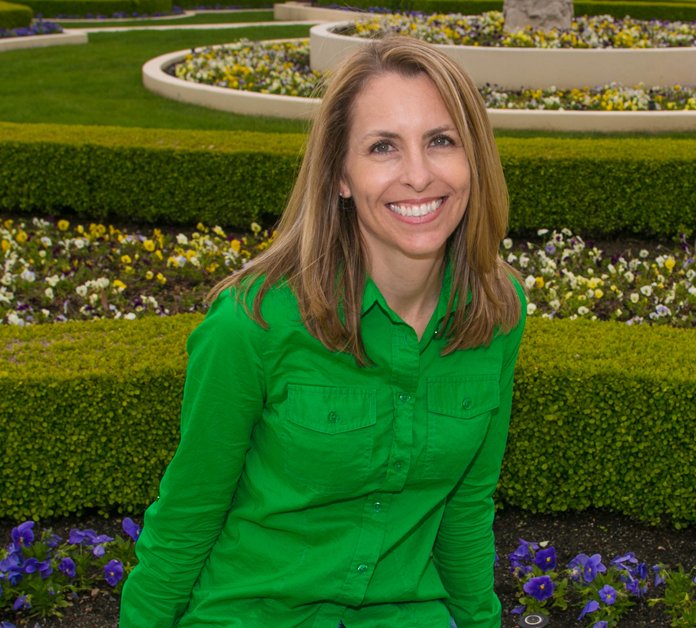 …juggling the many different facets of the job. We spend our time in the vineyards and the cellar, but then comes the management, emails, and markets. All good, but a lot to keep up with. I grew up on an old family vineyard in Australia’s Barossa Valley. Surrounded by vineyards and winemakers lead me in that direction. We create a fantastic and unique product. It’s always terrific to see a wine come together after the grapes growing and winemaking and time involved to get to the final blend. Michel Rolland has been an inspiring individual. The Harry Potter series was a fun read, and also the Hunger Games. Indiana Jones is a go too movie. Anything with Harrison Ford is always a good time. I joke that I would love to be a rock star, but really, a vet or a horse trainer. It’s a blast. If it interests you, it is fun. Fine food and wine is a good time. If you like farming, even better. A Surfing Vacation, but I’m not very good at it. Again it’s the same theme. A fine bottle of wine, a couch and a good movie. Michel Rolland- I starting working with him in 1996 and Rolland has had quite an impact on me. We are always working to excel our brand and make better wines and in 5 years I see us continuing to do that.